Climate change is one of the most pressing challenges of the 21st century and urbanization is a defining phenomenon of our time. The current atmospheric concentrations of greenhouse gases (GHGs) make the warming of the global climate system unequivocal and the continuation of their emission will cause further changes in other components of the system (IPCC, 2007). Climate hazards such as rising temperatures, increasingly intense weather patterns, sea level rise, saltwater intrusion and more severe storms have become a daily reality for the poor and vulnerable populations in urban centers and as climate change escalates many weather-related risks will be exacerbated. Urbanization is a huge global trend the pace of which today is unprecedented, with a near quintupling of the urban population between 1950 and 2011, and the least developed countries presenting higher rates of urbanization compared to the rest of the developing countries (UN HABITAT, 2011). Understanding the complexity of the way that the effects of climate change and urbanization converge might not be easy, however, the threat which this convergence poses on the quality of life and socioeconomic stability is explicit. It is therefore an imperative for global cities to integrate and address these challenges by mitigating the human-induced forces driving climate change, adapting to climate change and enhancing resilience. In this context, this essay seeks to describe cities’ actions to address mitigation and adaptation to climate change. The first section provides information about the framework that urbanization and climate change impacts on cities shape the last decades. In the second section, the focus is on the role of the cities within the climate change governance on a global dimension. The third section addresses how the cities of Los Angeles and Durban mitigate and adapt to climate change and the last section provides a brief conclusion. The growth of urban population growth has been escalated since 1950. By 2000 Europe and North America had little more than a quarter of the world’s urban population, Asia had almost the half and Africa had a larger urban population than Northern America or Western Europe (Satterthwaite et al, 2008). Source: Satterthwaite, David (2007), The transition to a predominantly urban world and its underpinnings, IIED Working Paper, 90 pages. The figures are drawn or derived from statistics in United Nations (2006), World Urbanization Prospects: the 2005 Revision, United Nations Population Division, Department of Economic and Social Affairs, CD-ROM Edition – Data in digital form (POP/DB/WUP/Rev.2005), United Nations, New York. Currently, nearly half of the world’s population live in urban centers and 11% of it resides in the 101 largest cities. This percentage is expected to rise from 15% to 23% by the end of the century (Hoornweg and Pope, 2013), while three quarters of the world’s population are estimated to live in cities in the year 2050 (GCIF, 2012). Furthermore, since 1950 there is a significant increase in the number of large cities and the size of the world’s largest cities with the majority of new urban growth taking place in smaller urban areas (UN HABITAT, 2011). By 2000 there were 380 cities with more than a million inhabitants while in the 1950s there were only 75 (Satterthwaite et al, 2008). Metropolitan areas of historically unprecedented size and megacities, is a relatively new phenomenon. They are hubs of economic development and innovation that support national and regional economies and promote global and local sustainability initiatives. Nearly 70% of global GDP is generated in cities (GCIF, 2012) but at the same time the resulting range of world cities’ contribution to greenhouse gas emissions vary from 40 to 80% (Dodman, 2009), with the world’s 50 largest cities generating about 2.6 billion tCO2e annually, more than all other countries, apart from the United States and China (World Bank, 2010). Urban enterprises, populations and vehicles are key source of GHGs, so, understanding the dynamics of urban GHG generation is crucial for the policy makers. However, apart from wealth, people, and productivity, global cities also concentrate vulnerability to natural disasters and to long-term changes in climate. Most of them are located on or near the coast, a fact which has been major factor for their wealth. Quite often, they are also located in low lying areas near the estuaries of large rivers in order to benefit from a river and use it as a commercial channel between interior agricultural and industrial regions and the rest of the world. Consequently, these locations expose cities to a greater risk from climate hazards such as cyclones, flooding, strong winds, sea level rise and coastal erosion (de Sherbinin et al, 2007). An increasing movement of sub-national governments and municipal authorities aiming to introduce climate change in the local agenda was developed during the 1990s. The result was the creation of three transnational city networks with several hundred members concentrated predominantly in North America and Europe; Climate Alliance, ICLEI’s Cities for Climate Protection (CCP) and Energy Cities (Betsill and Bulkeley, 2007). All these efforts are described by Bulkeley et al as the first major wave of activities in municipal action on climate change. Since then the transnational municipal networks have grown and increased with their geographical range presenting high diversification. The involvement of global cities in the urban climate agenda is growing and along with the continued activity of ICLEI, the emergence of C40 Cities Climate Leadership Group and the Rockefeller Foundation Climate Change Initiative –and their partnership as well– has a major contribution to the second, most recent ‘wave’ (Bulkeley et al, 2011). During this period, the municipal governments are making their presence felt at global scale showing their leadership spirit; the launch of the World Mayors and Local Governments Climate Protection Agreement in the Conference of the Parties (COP) in Bali in 2007 and the Climate Summit for Mayors at the 2009 Copenhagen COP are two indicative examples that underpin this fact (Bulkeley and Schroeder, 2012). 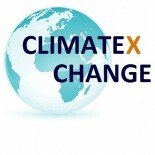 Currently, the framework of international negotiations maintains its importance, however, the substantial role of cities in climate change governance is acknowledged as crucial; climate change may be a global environmental problem but requires action at every level of government and in proximity to the public (Collier, 1997). Addressing climate change at lower levels of government, either at cities or at non-state actors generally, could be variously argued. Cities often express the public needs more clearly and faster than the senior levels of governments. They experience trends first so they are in position to respond first and they usually tend to be more realistic compared to higher government levels, as they are closer to the citizens through their daily service provision (World Bank, 2010). City governments are well positioned to foster, coordinate and strengthen communications and partnerships among civil society organizations and other stakeholders at multiple levels in order to enhance their resilience. For example, community-based organizations which work with the most vulnerable groups within a city may be good partners for raising awareness about climate change risks, increasing the adaptive capacity of their target group; international NGOs or development agencies that support advocacy about climate change could offer assistance to cities on mitigation and adaptation; and private sector, mainly small and medium size businesses, are in position to enhance city’s resilience by investing taking climate impacts into account (World Bank, 2011). Climate change policies at the city level that aim to reduce GHG emissions or adapt to warmer temperatures may also yield collateral benefits. From creative attractive investment environments, to saving money and providing citizens to live healthier lives, climate change action by local governments around the world is creating wealthier and more sustainable cities (CDP, 2013). Currently an increasing number of cities around the world have begun to plan for climate change by developing climate plans or incorporating climate considerations into existing plans, policies, and projects. Cities’ officials make major development decisions today that will have long-term benefits, providing important opportunities to mitigate and adapt to climate change impacts. Several cities are running or have already implemented projects or programmes within the context of their climate or environmental or development policy. Below, two case studies regarding two cities’ –with different background– policies on mitigation and adaptation plans are briefly examined. 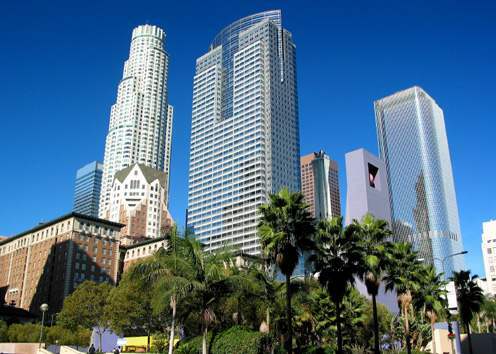 Los Angeles is a part of the Southern California economy which is the 14th largest in the world. With a population of more than 4 million people, is a centre of global trade and entertainment. Its ports are a gateway to nearly 43% of all products imported in the country. The Los Angeles Department of Water and Power (LADWP) is the largest municipal utility in the United States. While climate change threats Los Angeles with even higher temperatures, longer drought periods and serious shortages of water, the city emitted 51.6% million metric tons of CO2 in 2004, with the municipal government operations –namely the LADWP– accounting for almost the one-third of it. The level of the emissions has hardly changed since 1990, while several major investments in building energy efficiency have been made and alternative fuel cars and transit vehicles have been purchased in the last decade; Los Angeles has been demonstrating notable leadership on climate change policy (Green LA, 2007). The need for investments in the city’s energy infrastructures along with the necessity to ensure water scarcity highlighted the relation between climate change and resource security. This is what led the city officials to adopt the aforementioned leader attitude and the former Mayor, Antonio R. Villaraigosa, to set the ambitious GHG reduction goal of 35% of 1990 levels by 2030. In 2007 the climate action plan Green LA: an Action Plan to Lead the Nation in Fighting Global Warming set up the framework within which this target could be achieved. In this context, the investments in decentralized, renewable energy sourcing by LADPW and the decrease in per capita water use by 20% are two key actions, which show that the city of Los Angeles adopts and mitigates focusing on the issues of resource security and urban growth. In the first case, the Mayor benefits from the fact that the municipality owns and operates the city’s utility which services every household. Therefore, he controls a major source of GHG reductions and the city has already achieved the renewable energy target of 20% by 2010. Regarding the second case, the purpose is the reduction of dependence on water import to eliminate the electricity required for water supply and wastewater discharge, through storm water usage and tiered water pricing adoption (Bulkeley and Schroeder, 2012). Durban is one of the most significant urban and economic centers in South Africa, with the largest port on the east coast of Africa. Currently, the city has a population of approximately 3.5 million people. Responsible for planning and managing the city is the eThekwini Municipality, a local government which has become a national and international leader in the field of climate change adaptation planning and implementation (Roberts, 2008). After the democratic transition in 1994 and among widespread environmental injustice, inequity and exclusion, a new development agenda came out. Within a context of poverty, increasing urbanization and worsening environmental conditions, the eThekwini Municipality initiated in 2004 the Municipal Climate Protection Programme (MCPP). This four-phase project aimed to consort urban needs with climate change actions under the umbrella of the new development agenda, hence its immediate inclusion in the Integrated Development Plan (IDP). MCPP had three major components; municipal adaptation to ensure the integration of key activities into relevant line functions; community-based adaptation focused on building capacity; and a series of interventions focused on urban management challenges such as urban heat island effect and sea-level rise (ICLEI, 2010). Following an assessment of local climate change impacts, the Headline Climate Change Adaptation Strategy (HCCAS) was developed in 2006. Three years later, sectoral municipal adaptation plans for water, disaster management and health were prepared, highlighting institutional prerequisites for effective decision making. Furthermore, an integrated assessment tool was developed to evaluate and compare development strategies, in order to ensure that both mitigation and adaptation would integrate into the urban planning and the development framework. However, given the significance that the eThekwini Municipality attributes to the MCPP, the majority of this work was initially funded by the municipal biodiversity budget. It was in 2010 that dedicated climate change funding was received for first time, but several international funding sources have contributed to municipal resources (Roberts and O’Donoghue, 2013). Both cities act as an important role model, each of them however, addressing their action in different socioeconomic context. Domestically, Los Angeles could be a major positively influential factor for the United States’ efforts to address climate change internationally, while affecting the course of other global cities’ climate policies, through its leadership within global networks. The significance of local level administrators’ capacity-building was one of the most interesting outcomes that emerged from the case of Durban. Addressing coordinated and effective action for climate protection in local level needs skilful stakeholders who are capable to overcome various local governance barriers. The approach of linking climate protection to the issue of sustainable livelihoods was also an important strategy, as it managed to keep climate change in the political agenda despite the high socioeconomic pressure. As urbanization is escalating, it is widely understood that climate change will have impacts on urban infrastructure, populations and resources both in developed and developing states. Therefore, due to the complexity of its consequences, multilevel governance and synergies seem to be necessary. This is underscored by the shift of international climate policy debate to the agenda of urban politics of climate change during the last years. The various global, national and regional networks of cities should keep working complementary with national governments, prioritizing the need for mitigation and (or) adaptation. Cities could be the drivers for global action on climate change by shaping the appropriate framework of national actions, according to their special characteristics. Theodorou, P., 2014. How do cities mitigate and adapt to climate change? Could (synergies among) cities be the drivers for global action on climate change? Examples from Los Angeles and Durban [Online]. Available at: http://wp.me/p4iP0x-5p [accessed+date when the website was assessed]. The statistics for 2000 are an aggregation of national statistics, many of which draw on national censuses held in 1999, 2000 or 2001 – but some are based on estimates or projections from statistics drawn from censuses held around 1990. There are also some nations (mostly in Africa) for which there are no census data since the 1970s or early 1980s so all figures for their urban (and rural) populations are based on estimates and projections (see Satterthwaite et al, 2008). This entry was posted on February 12, 2014 by Petros Theodorou in Climate Change Adaptation, Climate Change Mitigation, Posts / Themes and tagged Cities, Climate change governance, International climate policy, Mitigation.